Better Prep makes eating healthy easy! We work directly with nutritionists and holistic practitioners to create restaurant quality meal prep that’s anything but boring. If you're looking for delicious grab and go meals to get you through your busy week then we’ve got you covered. We offer inclusive meal prep solutions for those with special dietary requirements as well as a those looking to overhaul their health and nutrition. Looking to switch up your diet? Feeling a little lost in the kitchen and not knowing what you CAN eat? Let us help! We work directly with the recommendations provided by nutritionists to create meal prep that works FOR YOU. Let us show you all the amazing food you CAN eat while still keeping your health in mind. Better Prep specializes in meal prep for those with prescriptive or restrictive diets. 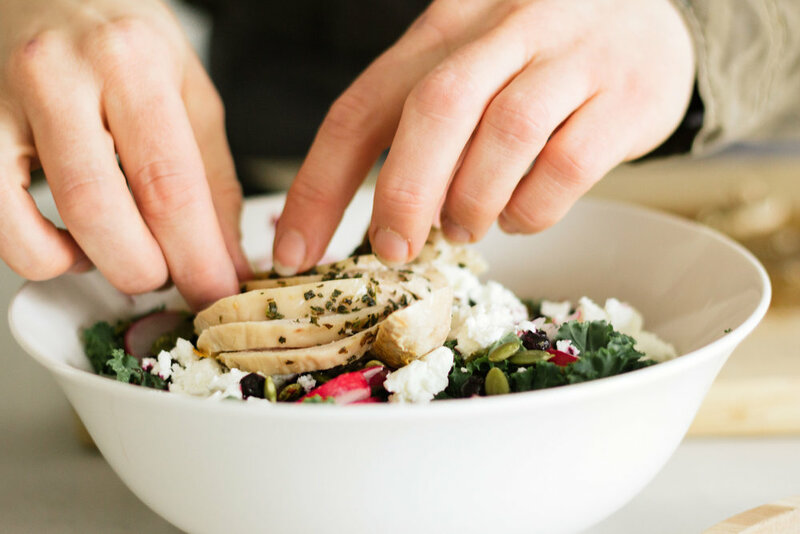 Our team has done the work to curate a menu that aligns with different dietary needs so you don’t have to do the leg work or worry about what’s ACTUALLY in your meal. Using fresh, organic ingredients and cooked in small batches, we create meal prep that is restaurant quality with a home cooked feel. To see what’s on the menu, click the link below! are you a health and wellness professional? At Better Prep we invite all health and wellness professionals to utilize our services to provide an all encompassing experience for their clients. By taking the guesswork out of the kitchen, we make it easier to improve client compliance and increase success rates. We work with registered dieticians and holistic practitioners to create meal plans that you can feel confident offering to your clients. Spend less time writing plans and more time working on your practice. To inquire about how Better Prep can work for you, click the link below. Hosting a luncheon or dinner party should be fun and give you time to catch up with old friends, not give you anxiety and a mountain of dishes to do. Rather than pour hours into making an elaborate feast, pour yourself a glass of wine and let Better Prep take care of the rest. You can even take the credit, we'll never tell! Your event is as unique as you are which is why every menu is made to fit each event's taste, style, and budget. With dishes starting as low as $10 per person, there's even room for dessert. Offering inclusive meals is so on trend right now. If you’re interested in carrying Better Prep at your retail location we encourage you to hit us up, we’d love to hear from you! Send us a quick email letting us know who you are and include a link to your website or social media. Getting to know your business and values is important to us so we can make sure that we’re a match made in heaven.